Calling all social butterflies! 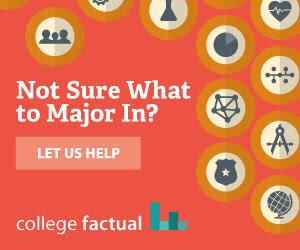 We have the perfect major for you. Sociology is the study of social life, social change, and the social causes and consequences of human behavior. All about understanding "the big picture", this major provides a global perspective of how the social world works. Sociology is the systematic study of human social institutions and social relationships. Instead of viewing the world from one lens, you will be asked to analyze the world from diverse perspectives. Classroom instruction includes social theory, sociological research methods, social organization and structure, social stratification and hierarchies, dynamics of social change, family structures, and social deviance and control. You will also study specific social groups, social institutions, and social problems. Students will integrate findings from economics, political science, psychology and history into Sociology studies. You will learn how businesses work from a human relations standpoint, how politics work through the study of social movements, how communities create culture, religion, and family, and how societies create opportunities and perpetuate inequalities. This major is for those who are curious about cultures and how they work. A cross-cultural understanding and appreciation of how other cultures work and interact is helpful to this field. This is especially true regarding racial, ethnic, and gender differences in approaches to work. You should strive to be free of traditional stereotypes and embrace a global perspective of the world. Sociology deals with the big picture questions about how humans interact. It helps to be able to draw meaning from numbers and facts. You will need to be able to interpret group behavior to make assessments about the group dynamic. In addition to analyzing human behavior, other abilities needed for a career in sociology include communication, interpersonal, and leadership skills. Those who graduate from this program find jobs both within and outside the discipline. It usually requires a master's degree or more to secure a position with "sociologist" in the title. Sociology undergraduates work in an array of professional fields including business, education, government, law, media and public service. Some examples of job titles are consumer relations manager, public relations staffer, college placement worker, human rights officer, and resident planning aide. Graduates with a degree in Sociology average $35,378 as a starting salary with a mid-career salary of $55,828. Here is a small sample of the careers that a degree in Sociology might open up.